Animals continue to live inhumanely around the world, experiencing violence, starvation and other types of abuse every day. The number of these beautiful Animals living in deadly conditions is left vastly unsolved due to a combination of issues. 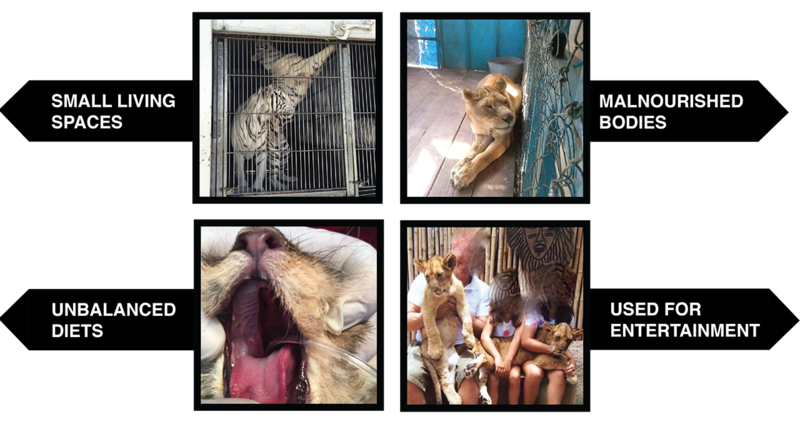 Some of the main issues contributing to their terrible existence are — conflicting laws, profitable entertainment industries, backyard breeders, ill-informed owners who are unable to care for wild Animals; and circuses where BJWT has now rescued 400 Big Felines living in crowded small trailers with a lack of proper diet and exercise. We are stepping up for those whose voices can’t be heard, and for those who are helpless. 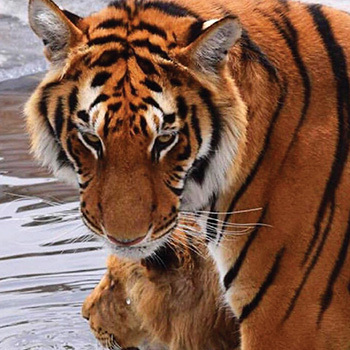 Most of the Animal cruelty cases we deal with involve Big Felines or other wild Animals. These Animals can not simply be handed off to a shelter or another private owner when their owners can no longer care for them. They are wild Animals that require much more than a cage or a grain free diet. If they are not turned over to our Foundation, they have no other choice but to be left to live in deplorable conditions, suffer from malnourishment, used for entertainment purposes or be killed. The cruelty these Animals experience can be seen day-to-day by their small living spaces, malnourished bodies, unbalanced diets, and over medicated activities. Many are drugged and used as props for pictures or other entertainment until they begin to grow and show their natural strength, yet weakened spirits. By this stage it can lead to more accidents or injuries, causing most people who are NOT capable of caring for wild Animals to then abandon or dispose of them. This is one of the many ways BJWT ends up with our “kids.” They often come in injured or poorly treated with no experience living in the wild. Wild Animals were not meant to live in someone’s apartment or photo studio. They are NOT pets. Help us to end Animal cruelty for all Animals. BJWT is stepping up for those whose voices can’t be heard, and for those who are helpless. Join us in this fight!